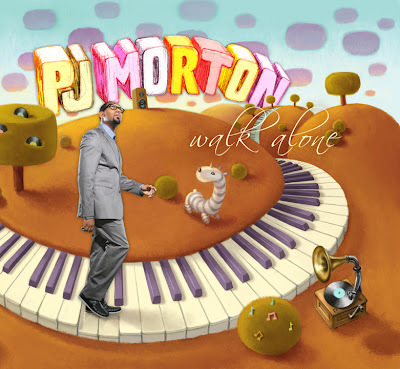 ashlee nicole spills | blog: New Album | PJ Morton - Walk Alone. PJ Morton is back with his new album, Walk Alone. I've been down with Pee Jay, as I like to call him, since his days at Greater St. Stephen. LOVE him and all of his music. Not just because he's New Orleans bred, although that helps, but his music makes me feel good. It speaks to me and makes my heart think. He's a modern day Stevie Wonder. If you're into good, heart-felt music, you should definitely cop the album. His melodic songs will infect your heart, in a good way.